Few male music artists have stood the test of time to transcend the changing music scene year after year and decade after decade without compromising their artistic integrity. Billy Joel is one of those who have risen out of the 70s and continued his sound into the 90s all the while consistently reaping the awards of critical acclaim and popular success. William Martin Joel was born in New York on May 9, 1949, and was sitting before a piano learning to play by the time he was 4 years old. Music playing continued into his teenage years (when he wasn't boxing) and Joel had joined a few groups including "The Echoes," "The Hassles" and the duo "Attila" (the last 2 released LPs in the late 60s). By the early 70s, Joel was solo - a man and his piano. Billy Joel's first solo LP came in the form of Cold Spring Harbor. The LP didn't break any doors down for Joel mainly due to a lack of promotion for the music and faulty mixing of the LP and soon he was in Los Angeles working as a lounge pianist (calling himself "Bill Martin"). Joel's "underground" hit "Captain Jack" eventually led to a record contract with Columbia Records. Piano Man was released and Joel again faced slow sales. The LP later sold well as Joel became more well-known and associated with the LP's title track. "Piano Man" became Billy Joel's first pop Top 40 hit. Cashbox magazine named Joel Best New Male Vocalist. Turnstiles was released and contained the concert favorites "New York State Of Mind" and "Say Goodbye To Hollywood." Joel released The Stranger and hit it big with sales and fans. The LP contained several hits including "She's Always A Woman," "Only The Good Die Young," "Movin' Out (Anthony's Song)," and Joel's first Top 10 hit "Just The Way You Are." 52nd Street was released with such hits as "Big Shot," "Honesty," and "My Life." 52nd Street topped the Billboard 200 LP chart for 8 weeks. Joel won 2 Grammy Awards for Record of the Year and Song of the Year (songwriter) ("Just The Way You Are"). Joel was nominated for an American Music Award for Favorite Pop/Rock Male Artist. Joel released Glass Houses and had his first #1 single with "It's Still Rock & Roll To Me" as well as the hits "You May Be Right," "Don't Ask Me Why," and "Sometimes A Fantasy." Joel won 2 Grammy Awards for Album of the Year and Best Pop Vocal Performance - Male (52nd Street) and was nominated for Song of the Year (songwriter) ("Honesty"). Joel hit the Top 40 with "You May Be Right." Joel hit the Top 10 with "You May Be Right." Joel hit the Top 40 with "It's Still Rock & Roll To Me." Joel hit the Top 10 with "It's Still Rock & Roll To Me." Glass Houses topped the Billboard 200 LP chart for 6 weeks. Joel hit #1 for 2 weeks with "It's Still Rock & Roll To Me." Joel hit the Top 40 with "Don't Ask Me Why." Joel hit the Top 40 with "Sometimes A Fantasy." Joel won an American Music Award for Favorite Pop/Rock Album (Glass Houses) and was nominated for Favorite Pop/Rock Male Artist. Joel won his 5th Grammy Award for Best Rock Vocal Performance, Male (Glass Houses) and was nominated for Album of the Year (Glass Houses). Songs In The Attic was released and included the hit "Say Goodbye To Hollywood." Joel hit the Top 10 with "Say Goodbye To Hollywood." Joel hit the Top 40 with "She's Got A Way." Billy Joel released The Nylon Curtain and although Joel's selling-streak start slowing, the LP contained numerous favorites including "Pressure," "Goodnight Saigon," and "Allentown." The LP allowed Joel to speak more politically with his music. Joel hit the Top 40 with "Pressure." Joel hit the Top 40 with "Allentown." Joel was nominated for a Grammy Award for Album of the Year (The Nylon Curtain). Joel found multi-platinum success again with the release of An Innocent Man which contained the hits "Tell Her About It," "Uptown Girl," "The Longest Time," "Keeping The Faith," and "Leave A Tender Moment Alone." Joel hit the Top 40 with "Tell Her About It." Joel hit the Top 10 and #1 for a week with "Tell Her About It." Joel hit the Top 40 and Top 10 with "Uptown Girl." Joel hit #1 for a week with "Uptown Girl." Joel hit the Top 40 with "An Innocent Man." Joel was nominated for 2 American Music Awards for Favorite Pop/Rock Male Artist and Favorite Pop/Rock Video ("Tell Her About It"). Joel hit the Top 10 with "An Innocent Man." Joel was nominated for 2 Grammy Awards for Album of the Year (An Innocent Man) and Best Pop Vocal Performance - Male ("Uptown Girl"). Joel hit the Top 40 with "The Longest Time." Joel hit the Top 10 with "The Longest Time." Joel hit the Top 40 with "Leave A Tender Moment Alone." The video for "Uptown Girl " was nominated for a MTV Video Music Award for Best Male Video. Joel married super model, Christie Brinkley (it was Joel's second marriage). Joel released his biggest-selling LP - Greatest Hits, Volumes 1 and 2 (1973-1985), a 2-LP set of his hits. The collection contained the new tracks "You're Only Human (Second Wind)" and "The Night Is Still Young." Joel hit the Top 10 with "You're Only Human (Second Wind)." Joel released new material with The Bridge and the hits "Modern Woman," "A Matter Of Trust," and "This Is The Time." Joel hit the Top 10 with "A Matter Of Trust." Joel released the live LP, Koheupt - the LP was recorded in Leningrad, Russia. Joel hit the Top 40 with "We Didn't Start The Fire." Joel hit the Top 10 with "We Didn't Start The Fire." Joel hit #1 for 2 weeks with "We Didn't Start The Fire." Storm Front topped the Billboard 200 LP chart for a week. Joel hit the Top 40 with "I Go To Extremes." Joel was nominated for 3 Grammy Awards for Record of the Year, Song of the Year (songwriter), and Best Pop Vocal Performance - Male ("We Didn't Start The Fire"). Joel hit the Top 10 with "I Go To Extremes." Joel hit the Top 40 with "The Downeaster "Alexa"." The video for "We Didn't Start The Fire" was nominated for 3 MTV Video Music Awards for Best Special Effects, Best Cinematography, and Best Art Direction. Joel hit the Top 40 with "And So It Goes." Joel was nominated for 2 Grammy Awards for Producer of the Year (with Mick Jones) and Best Pop Vocal Performance - Male (Storm Front) and was awarded the Grammy Legend Award. Joel was honored with an honorary doctorate from Fairfield University in Connecticut. Joel was nominated for 2 Grammy Awards for Best Music Video, Short Form ("When You Wish Upon A Star") and Best Music Video, Long Form (Live At Yankee Stadium). Joel was inducted into the Songwriters Hall of Fame. Joel could be heard on the Honeymoon In Vegas soundtrack with his remake of "All Shook Up." Joel released River Of Dreams. River Of Dreams topped the Billboard 200 LP chart for 3 weeks. Joel hit the Top 40 with "River Of Dreams." Joel was the first musical guest on The Late Show With David Letterman. Joel hit the Top 10 with "River Of Dreams." Joel topped the Billboard Top Adult Contemporary Singles chart for 12 weeks with with "River Of Dreams." Joel hit the Top 40 with "All About Soul." Joel hit the Top 10 with "All About Soul." Joel was nominated for an American Music Award for Favorite Adult Contemporary Album (River Of Dreams). Joel could be heard on the soundtrack for Oliver And Company with "Why Should I Worry?" Joel was nominated for 4 Grammy Awards for Album of the Year (River Of Dreams), Best Pop Vocal Performance - Male, Song of the Year (songwriter), and Record Of The Year (all for "River Of Dreams"). Joel hit the Top 40 with "Lullaby (Goodnight My Angel)." In the summer, Joel went on tour with Elton John for 14 performances in the U.S.
Joel was awarded the Billboard Century Music Award. During the year, Joel divorced from Christie Brinkley. 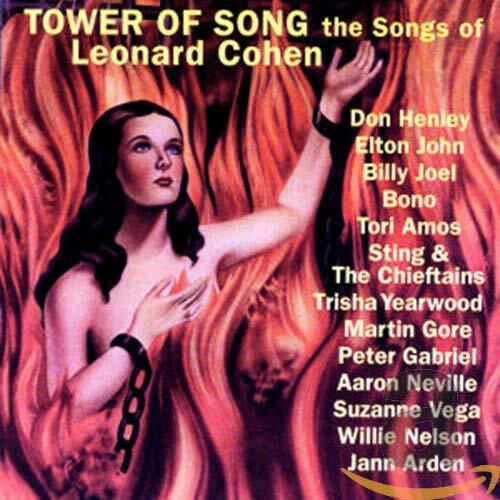 Joel could be found on Tower Of Song: The Songs Of Leonard Cohen with the track, "Light As A Breeze." It was announced that Elton John and Joel will be appearing live together again with an 8-month world tour 1998. Joel released Billy Joel's Greatest Hits, Volume 3 and Complete Hits Collection 1973 - 1997. The LP contained 3 new tracks including an unreleased Bob Dylan cover of "To Make You Feel My Love" which hit the Top 40. Joel said he might be saying good-bye to the "seductress," rock 'n roll. Joel told Rolling Stone magazine that he had originally started out with an interest in learning classical music and begin studying it at the age of 4. But when Joel turned 13, "...this hot seductress in shredded fishnet stockings swept me away... I had a passionate affair with rock 'n roll." Now at 48, Joel has decided to stop writing pop and rock music for awhile, for last of personal interest and lack of public interest that seems to be growing. Joel stated, "(baby boomers) don't like what they're hearing, and they're not buying it." Joel's "Face To Face" world tour might be his last big tour. Joel told CNN: "I'm not going to say that it's the end of something. But I don't think I'm going to do any more long tours after this tour." On his up-coming performances with Elton John, Joel said: "It's fun, because I'm looking across all this piano. I've got my piano and then there's his piano and at the other end of it, there's Elton John. So I'm not only a musician, I'm a fan on stage enjoying the show. I've got the closest seat in the house to Elton John." Joel also told the Today Show that the new tour isn't in support of a new LP, but in support of his work (like "used cars"). Joel also stated he always admired the guys "who walked away" while they were still good at their craft, and for this reason, it may be his last tour. Ranked # 78 on VH1: Greatest Artists of Rock & Roll (and # 33 on Rock On The Net's Poll). Joel cancelled a concert in England with Elton John due to "acute asthma" from a upper respiratory infection. A few days later, Joel had to bow out of a few more appearances, but the concerts were held with John going solo. Joel stated, "In the old days I could scream and punch my way through it, but now it wouldn't be fair to the fans." He also said, "I feel terrible about this, not only for my own fans, but for Elton and his fans as well." The troubles Joel had with his throat that caused the cancellation of several performances resulted in Joel having to cancel the remaining dates of his European tour with Elton John - including a live performance in Vienna to have been aired on HBO live. It was announced that Joel would have to postpone the fall portion of his tour due to recurring throat problems. He stated, "my doctor is encouraged by the progress I've made, but he wants to be sure that I am 100% before I step out on stage again." March 15: Joel was inducted to the Rock & Roll Hall of Fame (inducted by Ray Charles) and said of the honor: "I've had the most amazing life, and it's mostly because of rock and roll music." Joel could be heard on Rosie O'Donnell's holiday LP, A Rosie Christmas, on the duet "Have Yourself A Merry Little Christmas." Joel rang in the new year and the new millenium at Madison Square Garden in New York. VH1: 100 Greatest Rock Songs includes "Piano Man" at # 58. Joel released 2000 Years - The Millennium Concert. Greatest Hits, Volumes 1 and 2 (1973-1985) was certified 21x platinum. Rolling Stone & MTV: 100 Greatest Pop Songs includes "Just The Way You Are" at # 60. River Of Dreams was certified 5x platinum and the singles "Tell Her About It," "It's Still Rock & Roll To Me," and "My Life" were certified gold. VH1: 100 Greatest Videos includes: # 36 - "We Didn't Start The Fire." Joel performed "New York State Of Mind" for a landmark fundraiser (America: A Tribute To Heroes) aired by all the major networks to raise money for families of the victims of recent terrorist attacks. Joel performed at The Concert For New York City benefit concert in New York City (later released as an LP) with proceeds going to 9/11 charities. October 2: The Essential Billy Joel was released. Joel was nominated for a Grammy Award for Best Pop Collaboration with Vocals ("New York State Of Mind" with Tony Bennett). February 21: The Essential Billy Joel was certified gold. Joel and Elton John had to postpone part of their tour together due to Joel's illness. Joel checked himself into a Connecticut substance abuse and psychiatric hospital to "deal with a specific and personal problem that had recently developed" (according to a statement released by his record label). December 6: The Essential Billy Joel was certified platinum. Joel wrecked his Mercedes on a highway in New York and escaped with minor injuries. Joel began touring with Elton John. Joel and Elton John cancelled a concert in Toronto due to concerns over the virus SARS. 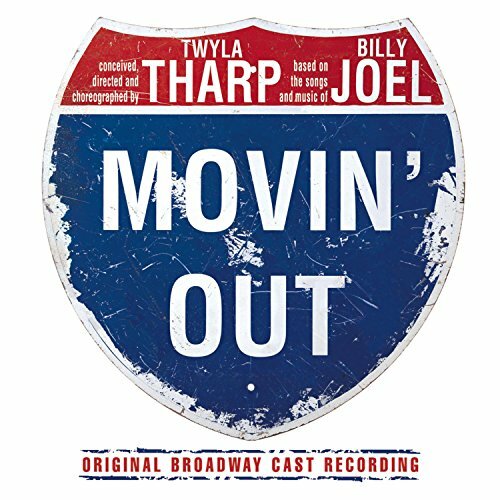 Joel won a Tony Award for Best Orchestrations (along with Stuart Malina) for the play Movin' Out - a hit Broadway play that used Joel's lyrics. The Stranger was certified 10x platinum. Rolling Stone: The 500 Greatest Albums of All Time: # 67: The Stranger, # 352: 52nd Street. Joel was in his 3rd car accident in the past 2 years. He was not seriously hurt. # 9 on the Top Pop Artists of the Past 25 Years chart. Joel checked himself back into a rehab facility for alcohol abuse treatment. October 28: The Essential Billy Joel was certified 2x platinum. The box set My Lives was released. The set included 4 CDs of rarities and unreleased material and a DVD. Joel released the live 2-CD 12 Garden Live - the set included live recordings from Joel's 12 sold out shows at Madison Square Garden in New York City. Joel could be heard on Tony Bennett's LP Duets: American Classic on the track "The Good Life." Joel topped the Billboard Hot Singles Sales chart with "All My Life." Joel released the 3-CD/1-DVD box set The Stranger: 30th Anniversary. The 2CD/1DVD set Live At Shea Stadium was released. Greatest Hits, Volumes 1 and 2 (1973-1985) was certified 23x platinum. The compilation She's Got A Way: Love Songs was released. September 16: Joel could be heard on the Barbra Streisand LP Partners on the track "New York State Of Mine." March 3: The Essential Billy Joel was certified 3x platinum. Tracks: "She's Got A Way" - "You Can Make Me Free " - "Everybody Loves You Now" - "Why Judy Why" - "Falling Of The Rain" - "Turn Around" - "You Look So Good To Me - "Tomorrow Is Today" - "Nocturne" - "Got to Begin Again"
Tracks: "Travelin' Prayer" - "Piano Man" - "Ain't No Crime" - "You're My Home" - "Ballad Of Billy The Kid " - "Worse Comes To Worst" - "Stop In Nevada" - "If I Only Had The Words (To Tell You)" - "Somewhere Along The Line" - "Captain Jack"
Tracks: "Streetlife Serenader" - "Angelenos" - "Great Suburban Showdown" - "Root Beer Rag" - "Roberta" - "The Entertainer" - "Last Of The Big Time Spenders" - "Weekend Song" - "Souvenir " - "Mexican Connection"
Tracks: "Say Goodbye To Hollywood" - "Summer, Highland Falls" - "All You Wanna Do Is Dance" - "New York State Of Mind" - "James" - "Prelude/Angry Young Man" - "I've Loved These Days" - "Miami 2017 (Seen The Lights Go Out On Broadway)"
Tracks: "Movin' Out (Anthony's Song)" - "The Stranger" - "Just The Way You Are " - "Scenes From An Italian Restaurant " - "Vienna" - "Only The Good Die Young" - "She's Always A Woman" - "Get It Right The First Time" - "Everybody Has A Dream"
Tracks: "Big Shot " - "Honesty" - "My Life" - "Zanzibar" - "Stiletto" - "Rosalinda's Eyes" - "Half A Mile Away" - "Until The Night " - "52nd Street"
Tracks: "You May Be Right " - "Sometimes A Fantasy" - "Don't Ask Me Why" - "It's Still Rock & Roll To Me" - "All For Leyna" - "I Don't Want To Be Alone" - "Sleeping With The Television On" - "C'Etait Toi (You Were The One)" - "Close TO The Borderline" - "Through The Long Night"
Tracks: "Miami 2017 (Seen The Lights Go Out On Broadway)" - "Summer, Highland Falls" - "Streetlife Serenader" - "Angelenos" - "She's Got A Way" - "Everybody Loves You Now" - "Say Goodbye To Hollywood" - "You're My Home" - "The Ballad Of Billy the Kid" - "I've Loved These Days"
Tracks: "Allentown" - "Laura" - "Pressure" - "Goodnight Saigon" - "She's Right On Time" - "Room Of Our Own " - "Surprises" - "Scandinavian Skies" - "Where's The Orchestra?" Tracks: "Easy Money" - "An Innocent Man" - "The Longest Time" - "This Night" - "Tell Her About It " - "Uptown Girl" - "Careless Talk" - "Christie Lee" - "Leave A Tender Moment Alone" - "Keeping The Faith"
Tracks: "Piano Man" - "Captain Jack" - "The Entertainer " - "Say Goodbye To Hollywood" - "New York State Of Mind" - "The Stranger" - "Scenes From An Italian Restaurant " - "Just The Way You Are" - "Movin' Out (Anthony's Song) " - "Only The Good Die Young" - "My Life" - "Big Shot" - "Honesty" - "You May Be Right " - "It's Still Rock & Roll To Me " - "She's Got A Way" - "Pressure" - "Allentown " - "Goodnight Saigon" - "Tell Her About It" - "Uptown Girl" - "The Longest Time" - "You're Only Human (Second Wind)" - "Night Is Still Young"
Tracks: "Running on Ice" - "This Is the Time" - "A Matter of Trust" - "Modern Woman" - "Baby Grand" - "Big Man on Mulberry Street " - "Temptation" - "Code of Silence" - "Getting Closer "
Live Tracks: "Odoya" - "Prelude/Angry Young Man " - "Honesty" - "Goodnight Saigon" - "Stiletto" - "Big Man On Mulberry Street " - "Baby Grand" - "An Innocent Man" - "Allentown" - "A Matter Of Trust " - "Only The Good Die Young" - "Sometimes A Fantasy" - "Uptown Girl" - "Big Shot" - "Back In The U.S.S.R." - "Times They Are A-Changin'"
Tracks: "That's Not Her Style " - "We Didn't Start The Fire" - "The Downeaster "Alexa"" - "I Go To Extremes" - "Shameless" - "Storm Front " - "Leningrad" - "State Of Grace" - "When In Rome" - "And So It Goes"
Tracks: "No Man's Land" - "Great Wall Of China" - "Blonde Over Blue" - "Minor Variation" - "Shades Of Grey" - "All About Soul" - "Lullabye (Goodnight, My Angel)" - "River Of Dreams" - "Two Thousand Years" - "Famous Last Words"
Tracks: "Keeping The Faith" - "An Innocent Man" - "A Matter Of Trust" - "Baby Grand" - "This Is The Time" - "Leningrad" - "We Didn't Start The Fire" - "I Go To Extremes" - "And So It Goes" - "The Downeaster "Alexa"" - "Shameless" - "All About Soul" (Remix) - "Lullaby (Goodnight My Angel)" - "River Of Dreams" - "To Make You Feel My Love" - "Hey Girl" - "Light As The Breeze"
Live Tracks: "Beethoven's Ninth Symphony" - "Big Shot" - "Movin' Out (Anthony's Song)" - "Summer, Highland Falls" - "The Ballad Of Billy The Kid" - "Don't Ask Me Why" - "New York State Of Mind" - "I've Loved These Days" - "My Life" - "Allentown" - "Prelude/Angry Young Man" - "Only The Good Die Young" - "I Go To Extremes" - "Goodnight Saigon" - "We Didn't Start The Fire" - "Big Man On Mulberry Street" - "2000 Years" - "Auld Lang Syne" - "River Of Dreams" - "Scenes From An Italian Restaurant" - "Dance To The Music" - "Honky Tonk Women" - "It's Still Rock & Roll To Me" - "You May Be Right" - "This Night"
Tracks: "Piano Man" - "You're My Home" - "Captain Jack" - "The Entertainer" - "Say Goodbye To Hollywood" - "Miami 2017 (See The Lights Go Out On Broadway)" - "New York State Of Mind" - "She's Always A Woman" - "Movin' Out (Anthony's Song)" - "Only The Good Die Young" - "Just The Way You Are" - "Honesty" - "My Life" - "It's Still Rock & Roll To Me" - "You May Be Right" - "Don't Ask Me Why" - "She's Got A Way" - "Allentown" - "Goodnight Saigon" - "An Innocent Man" - "Uptown Girl" - "The Longest Time" - "Tell Her About It" - "Leave A Tender Moment Alone" - "A Matter Of Trust" - "Baby Grand" - "I Go To Extremes" - "We Didn't Start The Fire" - "Leningrad" - "The Downeaster "Alexa"" - "And So It Goes" - "River Of Dreams" - "All About Soul" (Remix) - "Lullabye (Goodnight My Angel)" - "Waltz No. 1 (Nunley's Carousel)" - "Invention In C Minor"
Live Tracks: "Angry Young Man" - "My Life" - "Everybody Loves You Now" - "Billy The Kid" - "The Entertainer" - "Vienna" - "New York State Of Mind" - "The Night Is Still Young" - "Zanzibar" - "Miami 2017" - "The Great Wall Of China" - "Allentown" - "She's Right On Time" - "Don't Ask Me Why" - "Laura" - "Goodnight Saigon" - "Movin' Out" - "An Innocent Man" - "The Downeaster "Alexa"" - "Always A Woman" - "Keeping The Faith" - "River Of Dreams" - "A Matter Of Trust" - "We Didn't Start The Fire" - "Big Shot" - "You May Be Right" - "Only The Good Die Young" - "Scenes From An Italian Restaurant" - "Piano Man" - "And So It Goes"
Tracks: "Everybody Loves You Now" - "Piano Man" - "The Entertainer " - "New York State Of Mind" - "Movin' Out (Anthony's Song)" - "Only The Good Die Young" - "My Life" - "Big Shot" - "You May Be Right" - "It's Still Rock & Roll To Me" - "Say Goodbye To Hollywood" - "Allentown" - "Pressure" - "The Longest Time" - "Tell Her About It" - "A Matter Of Trust" - "We Didn't Start The Fire" - "I Go To Extremes" - "River Of Dreams"
Tracks: "Travelin' Prayer" - "The Night Is Still Young" - "This Is The Time" - "She's Got A Way" (live) - "Temptation" - "Nocturne" - "Until The Night" - "She's Right On Time" - "You're My Home" - "Just The Way You Are" - "She's Always A Woman" - "State Of Grace" - "Honesty" - "This Night" - "Shameless" - "An Innocent Man" - "All About Soul" - "And So It Goes"